This iPhone, iPod touch, or iPad compatible app is the quick and easy way for you to manage practice and game situations with video clips and animations for over 50 skills and drills. Turn chaotic practices into fun when you purchase Go CoachBaseball from Apple’s App Store by clicking on the iTunes button to the right from your mobile device. Get your players from the dugout into practice activities and game situations quickly with Go Coach Baseball. Developed by the American Sport Education Program (ASEP) and endorsed by Babe Ruth League, Inc., Go Coach Baseball offers 32 video clips and 11 animations demonstrating 34 skills and 26 drills to organize and run your practices. The app's optional slow-motion video setting (requires OS 3.2 and newer) allows you to view every detail of the skills and drills being performed. The Favorites feature allows you to save skills, drills, and video clips in one central folder-a great tool for planning and organizing activities for your next practice. Supplemental coaching tips and advice, safety guidelines and checklists, and guidance on season and practice plans will help you manage team activities beyond the Xs and Os. Drawing content from ASEP’s Coaching Youth Baseball book, Go Coach Baseball is the authoritative app for any on-the-go coach. 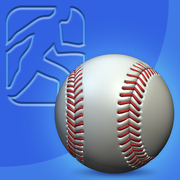 The app’s Skills feature provides you with instant access to step-by-step instructions for executing a total of 27 skills for hitting, bunting, base running, throwing, fielding, pitching, and catching. Video clips and photos demonstrate proper player positioning and skill execution. The app’s Drills feature offers instructions for implementing 26 practice drills for hitting, bunting, base running, throwing, fielding, pitching, and catching. Explanations of the various drills are included along with modifications based on age group. Animations visually demonstrate player and ball movement. The Advice feature addresses the off-field tasks coaches perform to make practices and games run smoothly. Age-specific advice provides guidance on developing season and practice plans for ages 6 to 9, 10 to 11, and 12 to 14. Game-Day Advice provides a checklist of the things that you and your players need to do in preparation for the game, as well as guidelines on running the team during the game and addressing the team after the game. Planning and preparation are keys to success, and Go Coach Baseball makes the tasks simple. The Rules feature provides basic information on age modifications, field markings, and player positions. Also included are photos depicting officiating signals and explanations of challenging calls. As a youth coach, you will likely be the first responder in the event of an injury or illness. Go Coach Baseball offers guidelines on developing an emergency action plan; treating sprains and strains using the PRICE method; and preventing, recognizing, and treating heat-related illnesses such as heatstroke. Go Coach Baseball also offers tips for fostering good sportsmanship and creating a fun atmosphere for yourself and your players. In the app’s Coaching Young Athletes section, Teaching Tips introduces coaches to the IDEA method of coaching: the four steps necessary for teaching correct technique. Baseball No-Nos identify behaviors that are inappropriate and unsportsmanlike, while a commentary on discipline will help you identify what’s deserving of disciplinary action and how to administer it. You’ll also find 7 fun tips for building teamwork and accountability. The primary audience is youth baseball coaches, especially those less experienced and first-time coaches, seeking advice on teaching key baseball skills and organizing practices. More experienced coaches will also find the app valuable—especially the drill section—as will parents of players wanting to assist their kids in practicing skills. “A staple of my youth was always summer youth baseball. The problem was that while I was a decent position player, I suffered from a chronic batting average that could only be seen by a microscope. In other words, I was a HORRIBLE batter. So you know how the old adage goes, ‘those that can’t do, teach…’ and hence my involvement with baseball coaching. While I couldn’t play the game for squat, I understood it inside and out, hence me helping my father coach his youth teams. But what if there were an app that could help those that are newer to the sport coach more efficiently? Last week Human Kinetics introduced their new program Go Coach Baseball that aims to do just that. Just judging by what I have seen in then screenshots, all of the specifically tuned training tools could really be irreplaceable in any coach’s lineup, not to mention a steal for only $1.99. When you throw in all of the additional drills that could be gleaned, your team will be playing like big leaguers in no time. If you are still on the fence, check out the trailer below and get on top of your coaching game. Your players will thank you for it someday.” -- Blake Grundman, Senior Writer, 148Apps Network, Read Blake’s entire review.